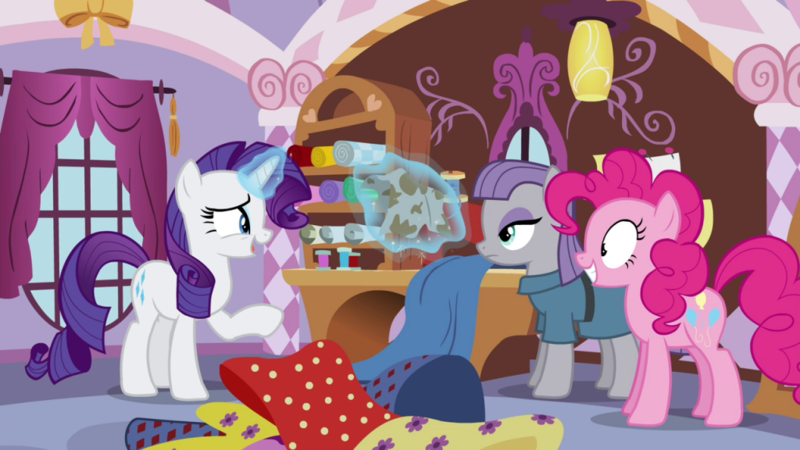 In the last part of my season 4 reviews, I wrap up loose ends, give assorted minor observations on some episodes, and give my series-to-date favorite episode and favorite pony rankings! This entry was posted in My Little Pony and tagged My Little Pony on May 17, 2014 by JellyPaladin. Straight to a jump for spoiler concerns this time! This entry was posted in My Little Pony and tagged My Little Pony on May 16, 2014 by JellyPaladin. Scott Sonneborn returns after Somepony to Watch Over Me and doesn’t break the trend of my preference for a new writer’s first episode. I give it a B- purely on a technical level. I can’t say anything’s explicitly wrong with Trade Ya!, but I also don’t like it one bit. This entry was posted in My Little Pony and tagged My Little Pony on May 15, 2014 by JellyPaladin.